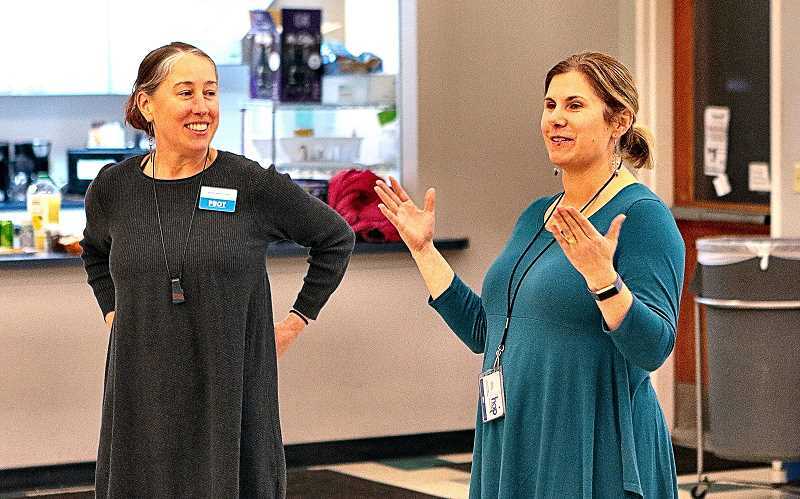 Those who attended the January meeting of the Brentwood-Darlington Neighborhood Association (BDNA) on January 3 learned how business property zoning along S.E. 82nd Avenue of Roses may change – from Portland Bureau of Planning & Sustainability (BPS) Southeast District Planner Marty Stockton. "I've come here to share information about what's called the '82nd Avenue Study: Understanding Barriers to Development'. And, while the overall study spans from N.E. Killingworth south to S.E. Clatsop street, this evening we're focusing on the area from Bybee to Lambert Streets, bordering Brentwood Darlington," Stockton said. "One of the near-term actions coming from this study is that we are proposing an important, but very subtle, zoning change we hope will reduce or remove barriers to business development." Specifically, Stockton said, the proposed change is from Employment Zone EG2 to EG1; both are considered to be "general employment zones". "Within this four-block area, there are many nonconforming buildings, in that EG2 specifies a 25-foot front setback from the street. "The big difference is that the zoning change allows for a 10-foot setback – helpful for businesses or property owners who want to expand, or to redevelop the property – since many of these [land] parcels along that area are quite small," Stockton elaborated. "This is one of the near-term actions that we could move forward on quickly; there will be a public hearing about this change before the Planning and Sustainability Commission on March 12." Presenting with Stockton was Portland Bureau of Transportation Senior Planner April Bertelsen, who updated PBOT's work along the 82nd Avenue Corridor. Specifically, she told how the Bureau is negotiating some near-term improvements, before the jurisdictional transfer form the Oregon Department of Transportation.